These new and returning castaways will be forced to compete against each other with the same ultimate goal: to outwit, outplay and outlast each other, and in the end, only one will remain to claim the title of Sole Survivor. The show films in the Mamanuca Islands in Fiji, and is hosted by Jeff Probst. 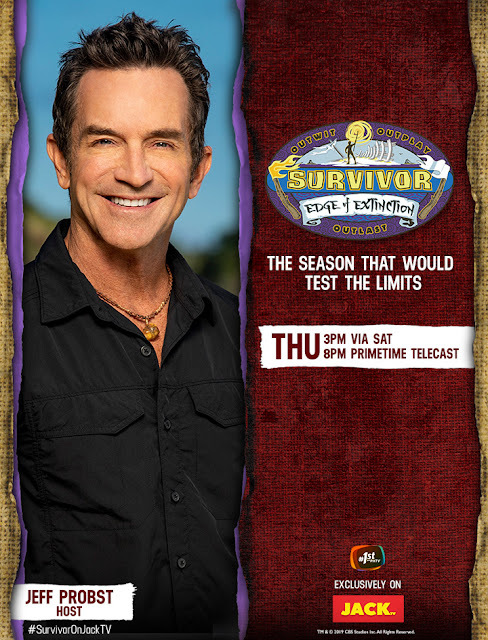 Survivor: Edge of Extinction airs every Thursday via satellite at 3PM with a primetime telecast at 8PM exclusively on JackTV.